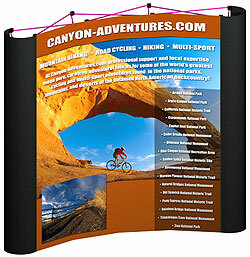 Gamma offers the latest in portable display stands. Revolver portable banners are continuous revolving displays which rotate the graphics 360°. They’re a great attention attraction. Add toppers or side graphics to produce a strong visual impact. Maverick motor: Heavy duty, solid state motor with a 90 day warranty.